If you live in San Marcos or the surrounding communities and you're trying to sell your car, we are the company to call. We are Cash For Cars San Marcos, and for the past 6 years we have been offering people great prices for their used cars. We make selling your used car easy. We assess you automobile and offer you the highest price possible. If you agree, we give you cash and take your vehicle. It's that simple. No hoops to jump through, no hassles, no waiting for checks to clear. Our goal is to help you to sell your car and get the money you want. We focus on customer service. 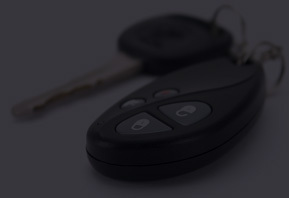 When you call our company, a member of our friendly, courteous, customer service staff will answer you call, gather all the pertinent information about your vehicle, and find out how soon you want to sell your car. We work around your schedule and buy your car as quickly as possible. We try to make the entire process as easy as possible for you and give you the highest price possible for your automobile. At Cars For Cash San Marcos it's all about making the customer happy. We do that by streamlining the buying process and putting lots of money in your pocket. We buy all types of used car whether foreign or domestic. Do you have a German, Japanese, Korean, Swedish, or American made car you want to sell? Give us a call. We purchase all makes and models cars and offer the owner’s cash on the spot for them. There's no need for you to worry that we won't want to buy your car because of the manufacturer. Nothing can be further from the truth. We're interested in purchasing any type of used automobile you have as long as you have proof of ownership. We make it easy for you to sell your car whether it's 2 or 10 years old. Our buying process is simple and straightforward. You call and tell us you want to sell your car. We examine your automobile and make you a great offer. If you accept the offer, you walk away with cash. That's all there is to it. So if you want the best price possible for your used car call us today.